Common refers to beasts which are widespread in multiple Biomes. Uncommon refers to beasts which are limited to one or a select number of Biomes. Rare refers to beasts considered to be myths to Mann. Daemon refers to beasts considered to have spawned from Daemons. Legends refers to creatures so rare that it is unknown if they truly exist. Rabbit Small Common? Herbivore? Mammal No? No? ? Chronicles of Elyria uses a full food chain design for all of its Biomes. As such, primary consumers, will live off plants or moss, while other animals, known as secondary consumers, will live by hunting and consuming primary consumers. This hunt or be hunted environment is what is thought to have caused some evolutionary mutations, such as the Flower-Cup Porcupine's camouflage. It is possible to capture live animals using traps. 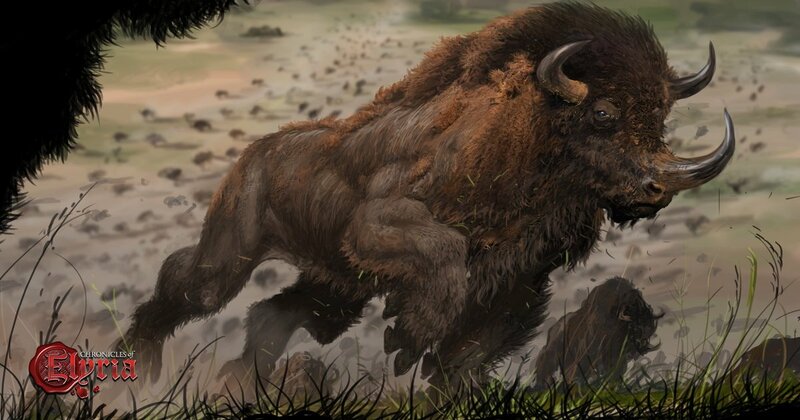 The purpose for this can be either to bring them home for taming and subsequent breeding, to study them, or to use them for training or challenging people in training grounds or arena's. Special wagons mounted with cages are also available. And do note that not all species known to Mann will be transportable. Some animals will migrate depending on the Season. A number of skills and fields of knowledge are specifically related to the fauna of Elyria. These can be found via the respective category pages: Category:Skills & Category:Knowledge. Some talents are related to the fauna of Elyria. These can be found via the category page: Category:Talents.